2017 Most Wanted Wedges: The Full Results are In! 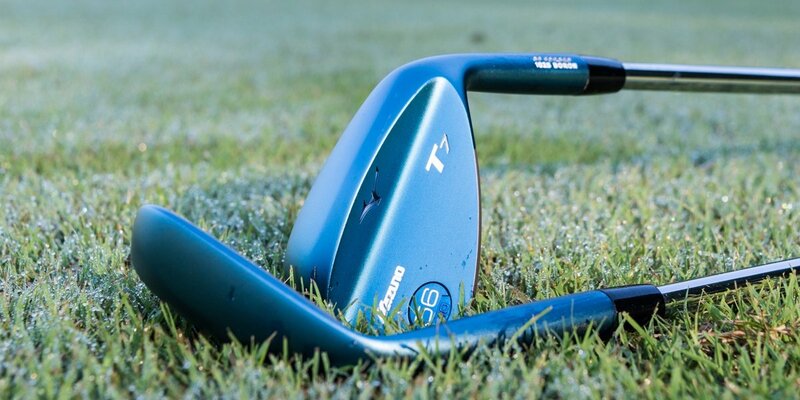 What characteristics define the best performing wedge? Is it consistency? Accuracy? Control? A little added forgiveness? We’ve found that it’s a combination of all of the above, and the best way to summarize that is through Mark Broadie’s Strokes Gained Methodology. This year is the first time we’ve completed a wedge test at this scale. If you’re in the market for a new wedge in 2017, this is for you. To determine this year’s rankings, we applied the Strokes Gained methodology to wedges at three distances – 15yd, 40yd, and full shots. We’ve provided the Strokes Gained values for each iron in our table below. As we have in the past, we have also provided standard launch monitor data, along with our Radial Distance and Shot Area calculations. For more information visit our How We Test page. 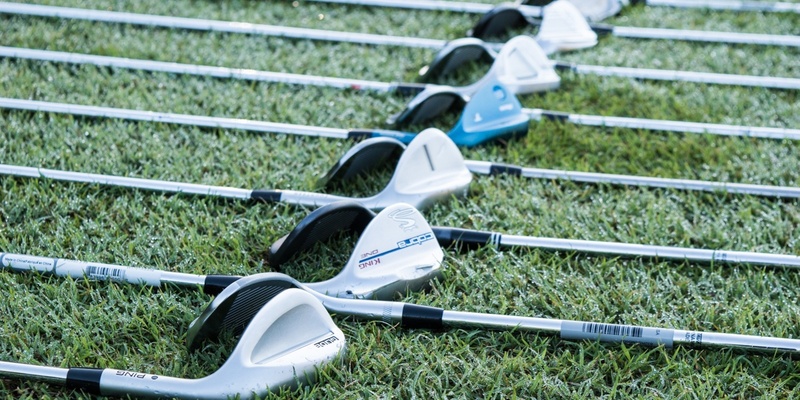 This year is the first time we’ve conducted a full-fledged Most Wanted Wedge Test. 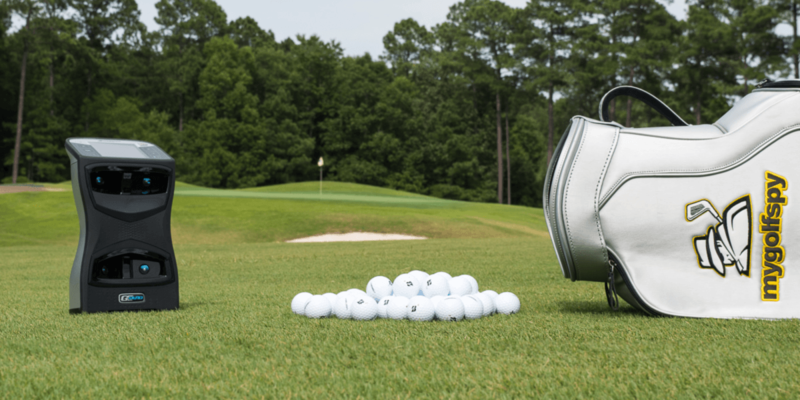 For simplicity, we chose to test only 56° sand wedges at a standard/mid bounce option. 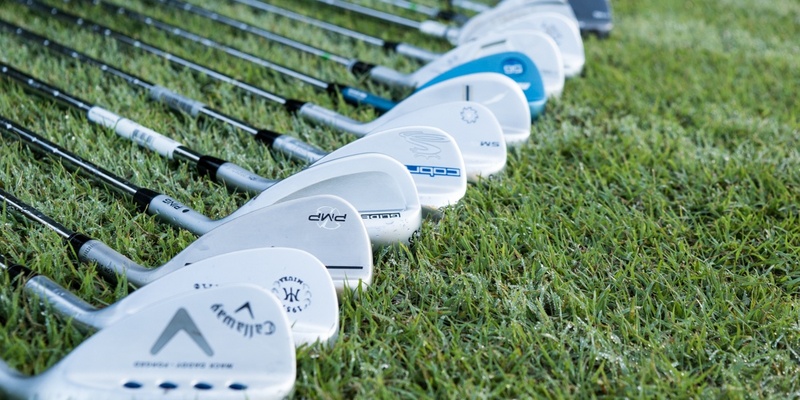 The clubs tested include 17 of the golf industry’s most popular wedges. Most of the wedges tested feature milled grooves, and some have a bit of technology added for forgiveness and consistency. Our rankings aren’t determined inside a conference room. We don’t have a panel, and there are no votes. The launch monitor is the one and only judge. For our 2017 Most Wanted Wedge test, we collected a standard set of launch monitor metrics (ball speed, launch angle, spin rates, distance, etc.). Using that data, we calculated a Strokes Gained average each club. Note that because Strokes Gained values are derived from PGA Tour data, it’s normal and expected that amateur averages will show negative Strokes Gained values. What’s important isn’t the absolute number, but rather how the numbers compare from club to club. Below you’ll find the data from our 2017 Most Wanted Wedge Test. Note that you can use the Wedge Model filter to limit the display to specific models. You can also use the Shot Distance filter to display data from the three distances tested. 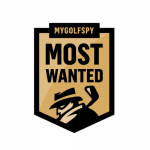 How does one get in on sending their product to the most wanted wedge tests? I think you should add a ten yard bunker shot to your data because the green-side bunker shot is a common use for wedges. Bounce is very important and you do not have to be a pro or top golfer to understand it. If golf fitters would explain it the average person they would benefit greatly by being fit properly. It really depends on the course condition you are playing, where I play very little bounce is needed so why have 12degrees of bounce when you only need 4 . A good fitter would know this just ask them to help no need buying a wedge if you only struggle with it. The problem with this theory is bounce is very condition specific and if you play more than one course, with multiple conditions, the bounce you need will vary greatly. Getting a proper wedge fitting that ties you to one type of condition is just as bad, as just buying a random wedge without considering condition. Why was the Hogan V-Sole wedge not included, as you don’t have to worry about “bounce”? All that bounce stuff is way to complicated for any but professionals and top amateurs. My sm6 are so amazing! Love them in every way. Glad to see the PMP near the top in 2 of the categories. Great wedge’s. I’m betting you’d be hard pressed to find a bad one out of the bunch. It’s all feel, and what the player likes. Great write up once again. Thank you and keep up the good work! MGS staff — Are you finding that these MW tests are starting to get less and less neccesary with the very minimal tech advancements in clubs? Even if you determine one club to be “better” than the other for you test group, it’s still only marginally better in terms of SG and may not actually be the one best suited for any one individual’s swing. When the margins on performance are so tight, the slightest change in swing type could skew the results on a micro scale substantially. It’s almost as if you can just go to the store, pick the the club you like the best, buy it, and be almost as likely to have it perform as good or better than the one MGS ranks #1 (based on an average at the macro scale). I do find a lot of value in your ball testing though, b/c it brings a second variable into play: cost. Maybe the ProV1 and the Snell perform similarly and are basically interchangeable on the course, but with the price-point of the Snell being almost a 1/3 that of the ProV, the performance differences (or similarities) b/w the two are magnified. It helps you make an informed, fiscally sound purchasing decision. This exactly. Wedge technology in particular hasn’t evolved really at all compared to woods and drivers. They could have (and should have) put in some no name random wedge and have it perform very similarly. While a new fancy wedge might give greater confidence leading to slightly better results, there is zero defining tech as of late, and a $3 wedge at goodwill is going to do the same damn job. Too bad you didn’t test Edel wedges. On the other hand, they have so many bounce choices – which is their strength – proper fitting – it may not have been reflected in the results. I have a 56 and a 60 degree. The 56 is bent to 54 to get the right distance and the 60 somehow got bent to 62.5 which works great as well. I save a lot of shots around the green, especially if short-sided. Could you confirm the bounce used on the Top 3 wedges in the test? I have to agree. I have T7’s and S18’s in the bag and they are hands down better than anything else I’ve tested or played. I was never a wedge lover until these. Agreed – switched to the Mizuno from the SM6 and LOVE the results I’m getting with them. Look at all distances not just one. 15, 40, FULL. Strokes Gained was used at all 3. Not the RTX 3, not the CBX, but the RTX 3 CB came in at #2. They’re in my bag, that’s where they’re staying. AWESOME wedges. Had a few Mizuno wedges over the years and they always delivered. Playing Fourteen wedges now and I love them. Damn, how many clubs do you have in your bag? It’s called sarcasm, Skip. Look it up. The strokes gained numbers seem to be off to me. How is the ball closest to the hole in feet not the best in strokes gained. It also puts a very big difference on the 15 yard shot for 1.63 feet to 1.70 feet. Come on be realistic. The 15 yard wedge for almost everyone of those clubs is about 4 to 4 1/2 feet. 6 to 8 inches is not that big a difference for most golfers. In addition to distance to the pin, Strokes Gained values also consider the resulting lie condition. So at 15 yards, 100% (or damn near 100%) of the shots finished on the green, which produced a direct correlation between pin proximity and strokes gained. At 45 yards, that number drops. So while the majority of the shots finished on the green, it was not 100%, which produces a looser correlation between absolute proximity and Strokes Gained. On full swings, you have not only more misses, but greater variation in the lie condition (rough comes into play), so the correlation is looser still. I’m checking with the team, but I suspect we forgot to convert the distance to feet, so distance to hole value is actually in yards. Why is Vokey # 3 when Fourteen & S18 are ranked higher on chart??? There are 3 different lists of results. While the other data is interesting, it still to me that distance to the hole is the only relevant stat. I’ve been looking at the number and just can’t understand how some of the wedges true ranks are higher/lower than another based on the data provided. 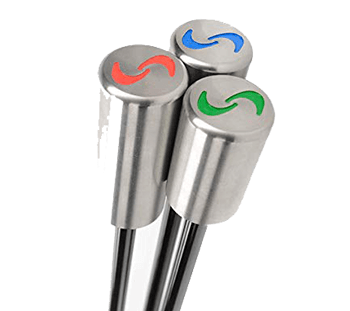 Results are based on Total Strokes Gained. Essentially 15 yards + 50 yards + full shots. Proximity to the pin does not take lie condition into account, so while one wedge may be, on average, marginally closer to the pin, if a greater percentage of misses end up in the rough, SG values will drop accordingly. I appreciate what you guys are trying to do, but do you have a statistician on you staff that can evaluate this data. It appears to me that in each distance there are several wedges that have data that is within the experimental error range and cannot be accurately ranked. Normally the way that kind of data is presented is Group A(Best) Group B (next) Group C (next) etc. Also, what is the formula for strokes gained and what data is used to determine it. I don’t know what you just said, but I agree completely! Great peace on wedges . Like always mizuno is always been underrated ,personally I think the best iron product ever made. I’ll remain to be a big fan of their clubs. Mizuno has some of the best irons out. I just got the JPX 900 Hot Metal. Switch from the JPX 850 forge because wasn’t playing as much. I just went wedge shopping and I can agree with this. I like the Mizuno slightly above the Cleveland wedges but I got two of the Cleveland ones for the price of 1 Mizuno. So of course went Cleveland. And the difference between the top 3 or 4 are not that much different for a 10 handicap guy. Just curious, were all the wedges same specs Loft said 56* but were they all checked out on loft and lie machine to make sure all were exactly 56* ? Also were they the same sole Grind, bounce, same Lie angle, same Length? That would tend to give different results. I agree. 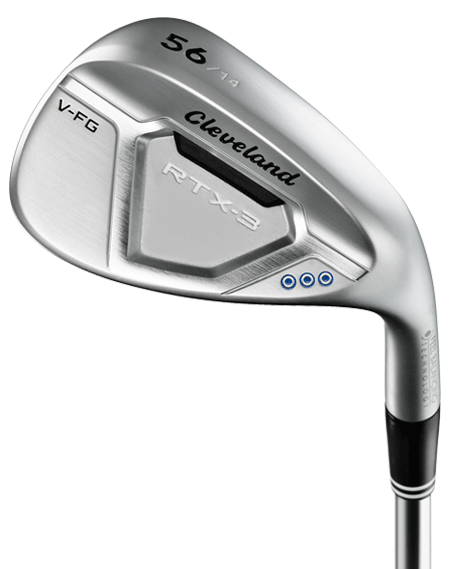 I had the Mizuno T7’s and took them back for the Cleveland RTX3. For my game, the difference was many strokes difference. I can now chip from most anywhere, where I used to putt from almost everywhere! 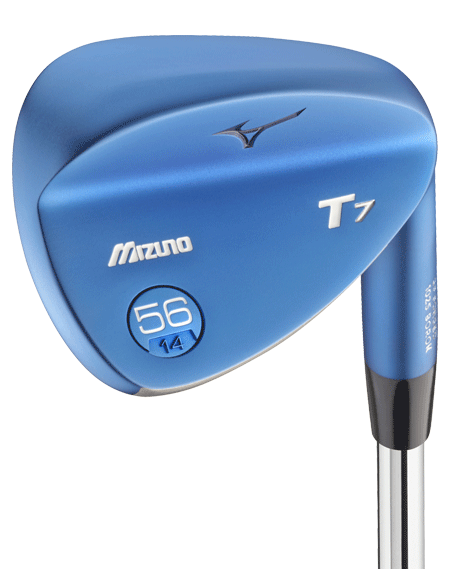 I play Mizuno wedges – the best I have ever used. Like much better that Vokey. I would have liked to have seen a wedge such as the GigaGolf SGS $29.50 scoring wedge included in the test. This site is supposed to just show the truth about golf equipment. I have used these and find them as good as any of my name brand wedges. For $30 you can’t go wrong. I’m a big fan of Mizuno wedges. Sadly, they keep getting shafted with silver medals over and over on the hot list. Very underrated wedges. Played the Mizuno for the first time this year and agree it was as good if not better than any played in the past. Looking forward to getting a new set with a T7. Mine was 14° and will go with slightly less bounce next year. 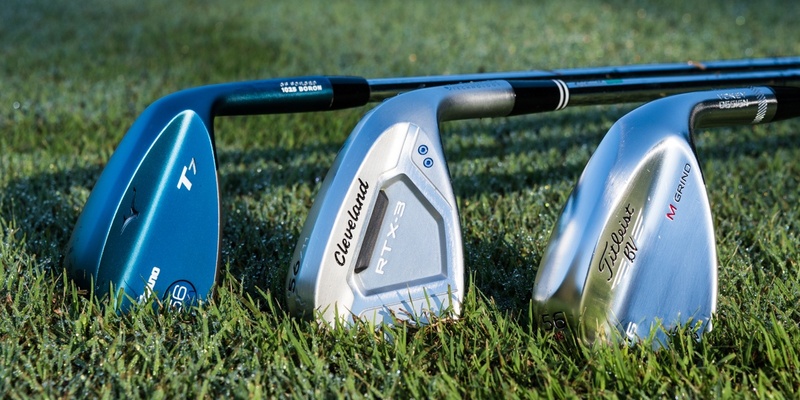 I just bought the Cleveland CBX wedges, after having both the Taylormade tour preferred and the Renegar RX14. I felt like the CBX doesn’t offer me as much feel around the green but the forgiveness more than makes up for it. Like i can’t tell “oh i hit that one out toward the toe” but i also don’t have to worry about mishits hurting me as badly. Not surprised at all, tried the T7 at a demo day and it literally felt like point and shoot. That being said, it was off a mat. I also admit I haven’t tried any other wedges, but at that time it was awesome. I play mizuno GI irons and MP-T11 wedges and in all honestly likely need to go to more of GI wedge at this point due to my lack of time to practice. Maybe I missed it somewhere, but can I assume the test was conducted off grass and not mats? I get very different results hitting wedges off mats than grass. Is turf firm, soft; what are the conditions? I have played Mizzy wedges for 7 years and absolutely love them. I did switch to the SM6 this summer but only to try them out. Being that the Mizzy’s are forged, they have amazing soft feel. Hope you enjoy the Mizzy! For me, though the Mizuno is a fine wedge, I think the Vokey is the best overall as it is consistently in the top 3 in spin and carry deviation on 15, 40, and full shots. 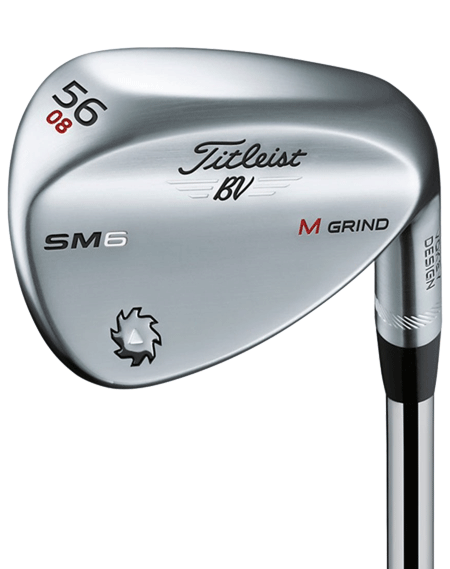 Que the people who will piss and moan that their wedge was not selected as the best…. I bought the 50, 56, 60 degree Mizuno T7 wedges at the end of last year from Club Champion, i have kbs tour 120 shafts in them and they are by far the best I have ever hit. I love the blue and most of my colleagues love them too. My only description is buttery. They instill so much confidence, when you hit them. I hate the 50 yard shot off the fairway but with the 60 degree, I have the confidence to hit it tight. I’ve had Cleveland’s, titlest and most recently I had 5 Scor wedges which I really liked but I found the Mizunos to be much more forgiving and I’ve been able to stop the ball and back it up much more consistently with them. I’m a 10 handicap so I’m not sure how they would be for a 20+ but I can’t endorse them enough and most importantly, they have them in Left Handed. What I love most about the data you collect is I can sort it as needed and come up with “my own” winner =). I have a handful of companies I get discounts from and I like to use your data to chose among those companies. Most important to me in this test was the launch angle and spin numbers. Good for Miz. Although I could never play a blue club, LOL. The face is silver with the blue on the heel and toe. It actually frames the ball really nicely. Help me understand this since the distance between best and worst is only 0.16 strokes gained. Does that mean that the best wedge is worth less than 1/5 a stroke per round for an amateur? I would say that is true. The average golfer wouldn’t see any major difference between all of these clubs. Buy what suits your eye and give you confidence and fits your budget. Wedges and the shots they are used for are hard to boil down to data like this. I commend MGS for performing these tests and I always look forward to them. I would argue though that only the top 10% of the people that participate in these tests practice their short game enough to provide anything close to repeatable results with different wedges. You could test the same group again and see dramatic differences in some clubs. It’s the nature of the beast here in my opinion. The most important factors in wedges are the two that MGS can’t really test for. Gring/Turf interaction and yardage gapping. So to add to Terry’s post above, everyone should pick a wedge that looks and feel the way they want and they get some data to get the proper lofts and grinds. The OEMS are finally offering all the right options for every player but, the player needs to be educated on which specs they need to really see a difference in their own “stokes gained”. All that said, Cheers to MGS on another great test! They also understand the factors they cannot test for are most important but they do a great job providing the data that they can! Such a great place to form a baseline opinion on today’s best gear! Wish I had this job! It’s not quite that simple since Strokes Gained is to a degree a measure of probabilities based on Tour Averages, but to an extent, that’s probably not that far off. I think some golfers are largely delusional about how much improvement they can get from clubs alone. But let’s use 1/5 of a stroke as our starting point. That’s with one wedge. Maybe two more get you another 1/5th. Now we’re at 2/5ths. Better irons (a full set this time), woods, putter. It adds up. Again…reasonable expectations vs. delusions. Does anybody honestly believe you’re going to pick up a new wedge and shave 3 strokes off your game? Golf doesn’t work like that. Come on Tony, try not to reveal too much of the truth. Jokes aside, I hate to say but we’re probably all delusional to a degree. This game really gets the best of all of us sometimes.